Seniors who own dogs go to the doctor less often than those who don’t. In a study of 100 Medicare patients, even the most highly stressed dog owners had 21% fewer physician contacts than non-dog-owners. Pet owners have lower triglyceride and cholesterol levels than non-owners. Pet owners suffer fewer minor health problems, such as painful joints, hay fever, insomnia, and anxiety. Pet owners enjoy better physical health because they exercise more with their pets. Pets decrease feelings of loneliness and isolation. 70% of families surveyed reported an increase in family happiness and fun after adopting a pet. People with AIDS who own pets experience less depression and reduced stress.  Studies show that pets are a major source of support and increase a person’s perception that he or she can cope. Pets help people survive heart attacks. One study shows that heart attack sufferers who own a dog have an eight times better chance of surviving one year after suffering a heart attack. Pets provide therapeutic touch. Tests show that within minutes of petting a dog, the human and dog experience a massive release of such beneficial hormones as prolactin, oxytocin, and phenylethylamine. Pets help combat allergies in children. One study found that living with two or more cats and dogs as toddlers made children less susceptible to other allergy-inducing substances by the time they turned seven. Having a pet present reduces a pet owner’s stress more than the company of a close friend or even a spouse. Researchers asked 240 married couples, half of them pet owners, to perform two stress-inducing tasks—mental arithmetic problems and submerging a hand in ice water for two minutes. People with a pet present enjoyed much lower baseline heart rate and blood pressure levels than people without pets. They also made fewer errors during the math test. Children who live with dogs adjust better to the serious illness and death of a parent. Medication costs dropped from an average of $3.80 per patient per day to $1.18 in nursing home facilities in New York, Missouri, and Texas that integrate animals and plants into the environment. Children exposed to educational programs on the humane treatment of animals display enhanced empathy for humans compared with children not exposed to such programs. Couples who own pets have closer relationships, are more satisfied in marriage, respond better to stress than couples without pets, and have more frequent contact with each other and with others.